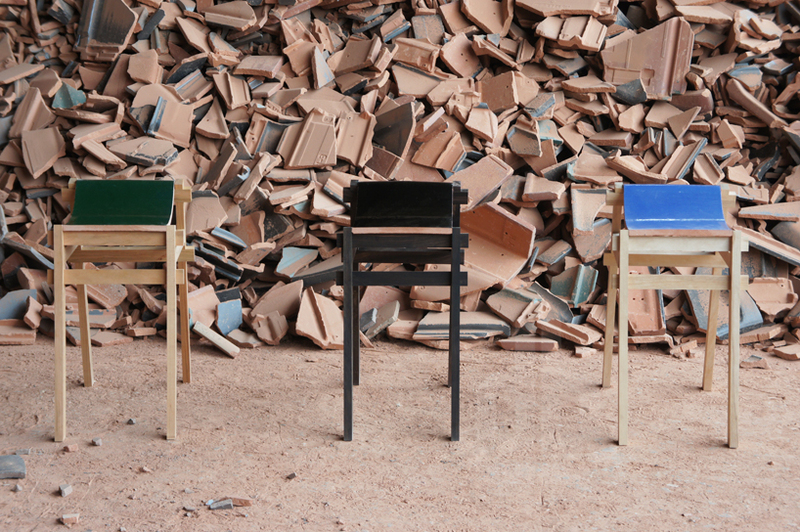 Young designer Tsuyoshi Hayashi turned to an abundant, hard-to-recycle form of manufacturing waste, traditional ceramic roofing tiles, when designing his clever upcycled seating system. Although the Kawara Bench and Bar Stool don’t exactly look like the most incredibly comfortable things to plant your tuchus on for a spell, you have to hand it to young designer Tsuyoshi Hayashi for, like many seating designers before him, turning to cast-off trash when sourcing materials. 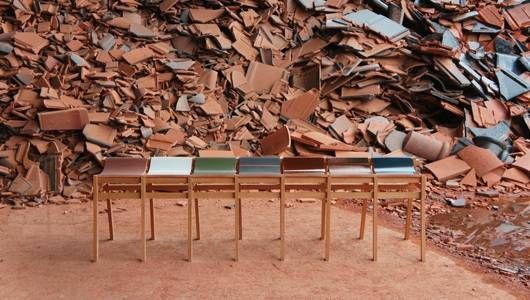 Japan-born, Eindhoven-based Hayashi sourced the primary component of his rugged-yet-elegant stool, discarded ceramic roofing tiles, from a factory in the city of Takahama. Traditional kawara tiles are ubiquitous in Japan and, as things go, some are damaged during the manufacturing process. In fact, across the country 65,000 individual, difficult-to-recycle tiles — about 5 percent of the total output — are stamped as defective and sent to landfills each year. This is where Hayashi comes in. 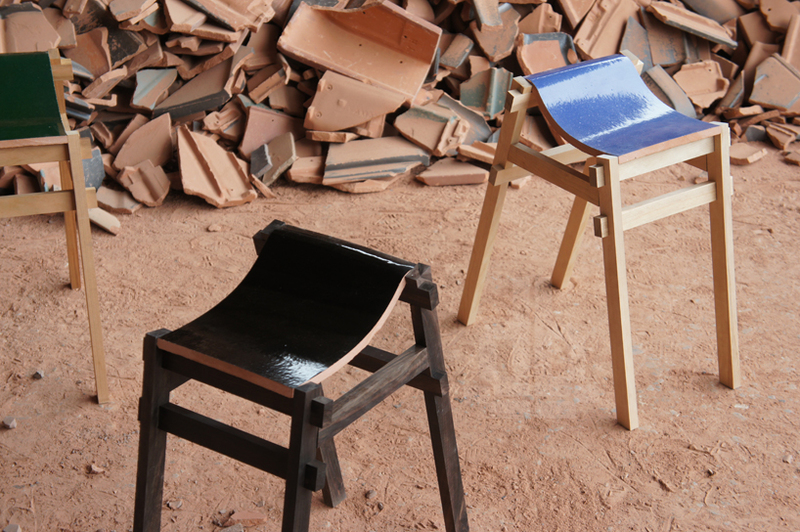 During the design process, Hayashi removes the chipped, blemished, and/or cracked section from the clay-fired tiles and mounts them to a sturdy, custom-sized wooden stool frame — custom-sized so that the curved tile locks right in without the need for glue, fasteners, or adhesives. The ergonomic (the curved form promotes proper posture) stools are a shoo-in for outdoor use considering that the tiles themselves were manufactured to be extremely durable and weatherproof. Additionally, the modular stools, when not arranged by themselves, can be easily joined together to form benches of varying lengths.